HO CHI MINH CITY - Vietnam's cheap workers might not be the country's stars for much longer: low wages helped to propel the communist nation to some of the fastest growth rates in the world, but analysts say it needs a new economic model now. 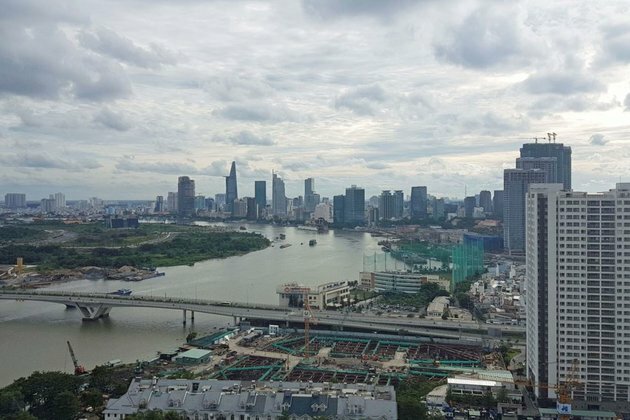 After a slow recovery from the Vietnam War, the Southeast Asian country saw gross domestic product rise year after year from the 1990s on. That was built on the back of low-cost labor and factory-driven exports, as well as companies increasing tie-ins to foreign investment. Vietnam is currently at a turning point, looking back at simple exports like rice and Reeboks that helped it develop, and looking forward to a more advanced economy along the lines of Taiwan or South Korea. Locals do not want Made in Vietnam to signal low quality. They also want to integrate into global trade, without the backlash against globalization seen among populist voters from Europe to the United States. What has been working in the past 30 years may not necessarily work in the future, said Ousmane Dione, the World Bank director in Vietnam. The impacts of initial institutional and structural reforms seem to have reached their limit. Businesses are crying out for tangible developments that will smoothen intra-regional trade, Hai said. Vietnam should continue the momentum to further integrate into the region and gain most benefits from globalization. The other vital theme has to do with the workforce, making sure its productivity and skill levels improve. Millions of Vietnamese now rely on entry-level jobs to make a living, whether its gluing together wallets at a factory, or picking coffee cherries on a farm. Vietnam set out on a new chapter that embraces innovation, promotes bold reform, and helps Vietnam achieve its ambitious development goals, said Craig Chittick, the Australian ambassador in the country of 100 million people.